Thanks to the Healthy Hungry Kids Act of 2010, there are big changes coming to school lunches near you. School lunches must now align more closely with USDA standards, which can be a bit of a daunting task. That's why we're here -- to make this transition easier. 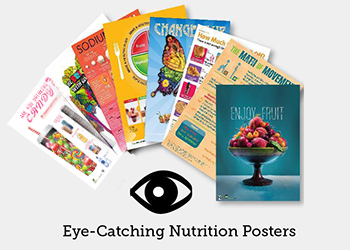 Let's start with our series of colorful and creative posters that are great resources for school lunch planning. Want to meet them? This poster outlines the key changes that schools will need to make in order to comply with the new regulations. 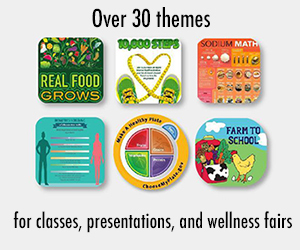 Learn which food elements (like trans fat) need to be completely eliminated from school lunch menus, and which ones (like saturated fat) can be still be offered, but in moderation.When you're done exploring reductions, check out another section of the poster that highlights the foods that will be playing a larger role on school lunch trays. 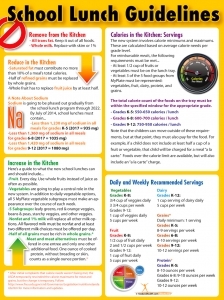 Of course, no school lunch guide would be complete without a rundown of the serving sizes and calorie requirements by grade level, so all of that information is laid out in an easy-to-follow format, right there on the poster. 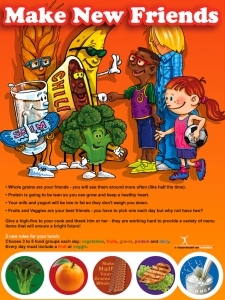 This poster is a perfect resource for educators and school lunch staff. It offers a great way to keep track of what can and cannot be offered, and it's pretty enough to display in the cafeteria kitchen. Plus, it comes with handouts that explain each change in more depth. 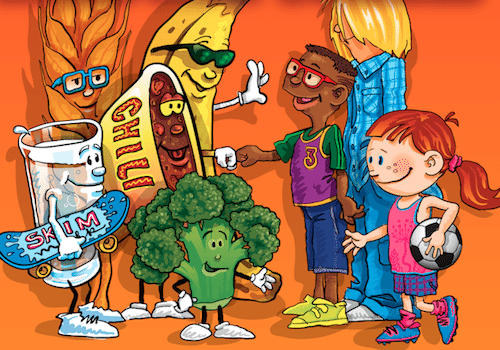 This colorful and engaging poster offers a perfect way to introduce kids to the new face of school lunch. The key lunch adjustments are outlined in a kid-friendly format that is clear without being condescending. 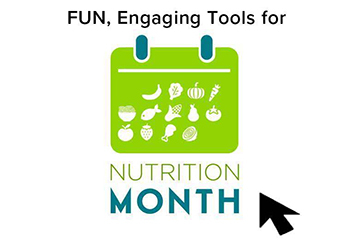 You can use this poster to highlight the role of healthful foods, drawing attention to them instead of the less healthful options that are going to be phased out. 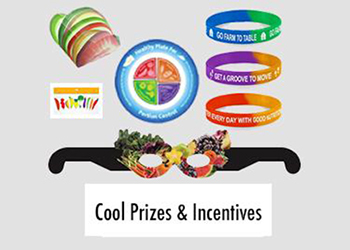 Help kids focus on the new and positive so that they don't feel deprived. This poster is perfect for classroom and cafeteria displays. You can brighten up any space with its positive message and colorful pictures! This erasable poster offers an easy format for daily lunch planning. Does the central image look familiar? 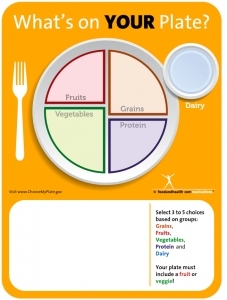 Why, that's MyPlate, the USDA's guide to healthful and balanced eating. What's on YOUR Plate? has plenty of space for writing out options for each food group, and is a great way to visualize how well a meal is balanced.There's a large section for notes too. That way, cafeteria staff can keep track of key points and reminders. The fact that this poster is erasable makes it easier to update and adjust, offering a perfect vehicle for brainstorming and creative ideas. 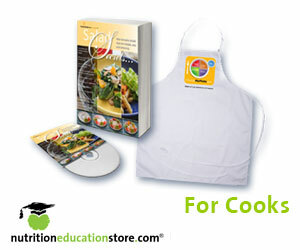 Display this poster in the cafeteria kitchen, or anywhere else that educators might gather to plan meals. Looking for more fantastic resources? 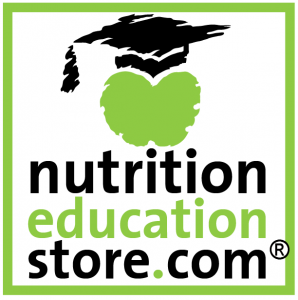 Check out our Nutrition Education Store. We even have a Foodservice Directors page!